Sharing photos and information about your child online can seem normal but it’s a common question that parents are Googling. Giving your child an online presence can be harmful, so think before you start posting because you could be sharing too much. Here’s how to be careful with your social media accounts. Who do you want to share the photos with? Do you trust everyone on your chosen platform? Are you fully familiar with the privacy settings of each given platform? Would you prefer your child to have their own control over social presence? Giving away too much information could hinder yours and your child’s safety – even taking pictures of your child outside their nursery or school gates and posting them online can give strangers information that you weren’t willing to share – so think before you post. Check privacy settings and your ‘About’ section on Facebook for example, and make sure you’re set to ‘only allow my close friends to see my posts and pictures’ and remove any vital home addresses or ‘checked in’ locations. Turn off your location. Don’t upload statuses that you wouldn’t want others to see – it’s important for your reputation – remember others can print screen, copy and share information you have posted. Before your child sets up a social media account, you will want to be wary of what you post about them beforehand. Baby pictures and embarrassing comments that aren’t set to private or to close friends and family could be found by other classmates which could make your child feel uncomfortable and might even be used as a tool for bullying. Children are always curious and rightly so, the world is full of interesting and fascinating things, so if someone is doing something that looks fun, it’s likely they will copy and follow suit. What’s important is that you reinforce how to be safe online – you won’t be the only ones trying to ingrain these messages – they will be told about online safety at school too. 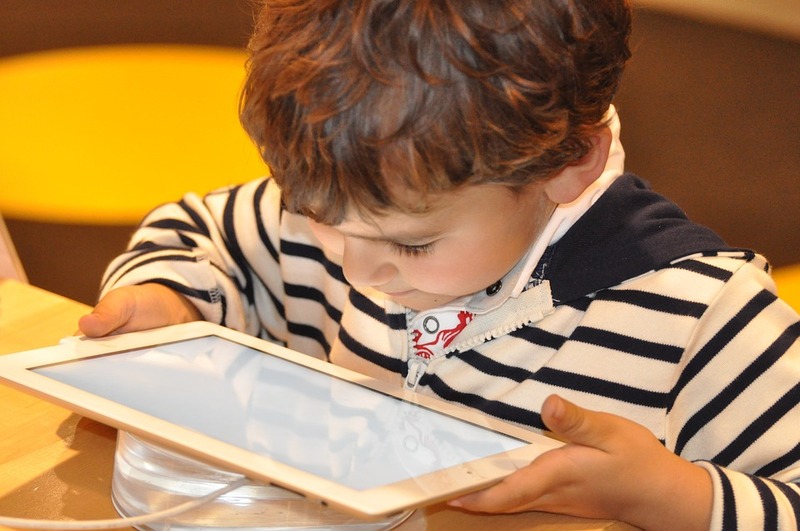 There will come a point where your child wants to play on your phone but before they do, be sure that the Apps they intend to use are child-friendly. Monitor their usage and only allow them to be on it a maximum of two hours a day. Age gaps between siblings can be both a blessing and a curse – often you will hear but they’re allowed to do this and they’re allowed to do that. The point is there’s no need to rush the younger child’s development, their brother or sister must learn that age does matter and that there will be a time when they can also do the same thing as their sibling. Allowing them to have social media accounts at a young age can affect their concentration and expose them to unsuitable content. Shared parenting is a huge hit and it’s a nice way to connect and share concerns or queries, it can help parents feel less alone and reassured in their experiences. That said, there’s a fine line between this and sharing too much, also known as ‘oversharenting’. Before you start making a digital footprint for your child, always ask yourself whether it’s what you would have wanted at that age and check your settings to keep your information safe. If you’re looking for an exceptional day nursery for your child, turn to Tiny World Day Nurseries. We have a wealth of experience looking after babies and children and offer lots of fun and educational activities for them to take part in. From painting to learning – we plan everything in line the Early Years Foundation Stage framework. For more information or to take a tour of our premises, call today.